Mammography technologist Jamie Thaniotis guides a patient through a mammogram. 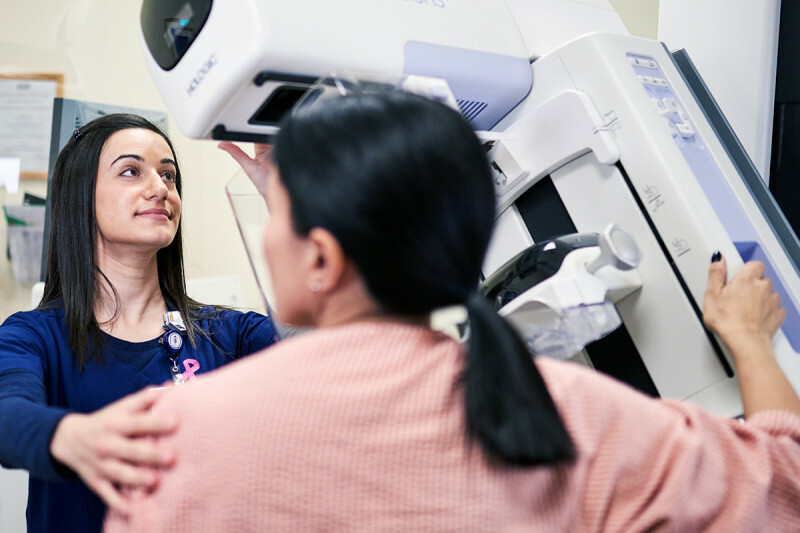 For individuals at increased risk of developing breast cancer, Memorial Sloan Kettering offers a comprehensive program including regular breast exams and imaging so that any developments can be identified and dealt with right away. Through RISE (MSK’s Risk Assessment, Imaging, Surveillance, and Education Program for people at increased risk of breast cancer), our experts take into account a combination of factors to determine if you’re at increased breast cancer risk and, if you are, to shape a long-term surveillance plan customized specifically for you. At your first appointment, one of our specialists in breast cancer screening and prevention will meet with you to review your answers. The doctor will also perform a breast exam and ask you about other risk factors for breast cancer, such as whether you’ve been diagnosed with atypical hyperplasia or lobular carcinoma in situ, whether you have a family history of breast or ovarian cancer, or whether you’ve received radiation therapy to the chest area in the past. He or she may also recommend that you see one of our Clinical Genetics Service experts to help determine if you have a hereditary predisposition to breast cancer. For example, it’s important to know details about any first-degree relatives, such as your mother or sister, or second-degree relatives, such as an aunt or grandparent, who have had breast cancer. Genetics counselors may recommend testing for mutations in certain genes that are known to increase the risk of developing this cancer, such as BRCA1 and BRCA2. For some individuals, a combination of various risk factors could indicate that they might benefit from being closely followed through our program. Our doctors are world-class experts in the diagnosis and treatment of breast cancer, and at determining whether you’re at increased risk for developing the disease. For those found not to be at increased risk, we recommend annual breast screening coordinated through their doctors at our Breast Screening Program. Data from a recent study on women enrolled in Memorial Sloan Kettering Cancer Center’s high-risk breast cancer surveillance program highlights that a “substantial number” would benefit from interventions to mitigate modifiable risk. Screening you for breast cancer at intervals that make sense for your level of risk. Our state-of-the-art technologies provide the highest-quality images possible, which are interpreted by radiologists who specialize in breast imaging. Depending on your situation, we can use ultrasound, digital mammography, contrast enhanced mammography, tomosynthesis, and breast MRI, if it’s determined that these might be valuable in identifying very early tumors in your breasts. Educating you on how to properly check your breasts for changes (self-examination). Our nurses are skilled in guiding their patients through the proper way to do these exams, so you’ll be completely confident about doing them on your own. 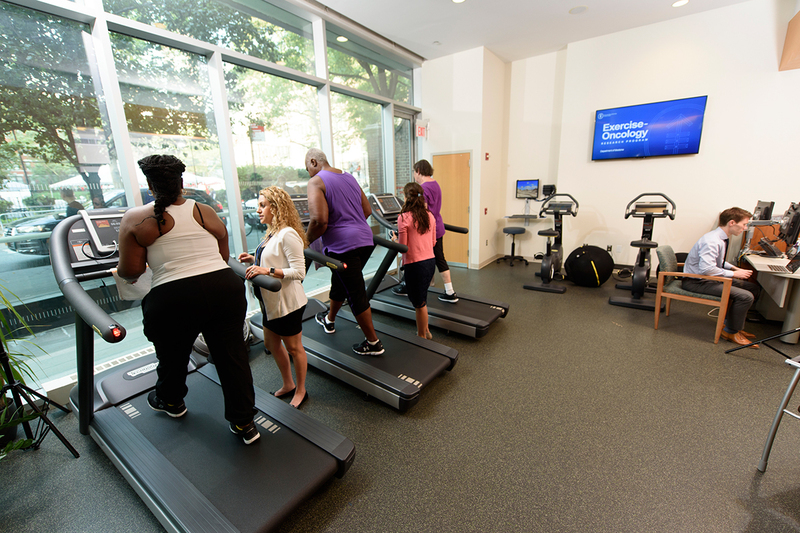 The RISE program is located at the Evelyn H. Lauder Breast Center and three of our regional sites. Discussing with you the role of chemoprevention, or medications available to help reduce the risk of developing breast cancer. Advising you on other risk factors for breast cancer, such as lifestyle choices involving things like diet and exercise that have been shown to reduce the risk of developing breast cancer. One of our registered dieticians is available to work with you to plan healthy food choices, control your weight if necessary, and answer nutrition questions. Providing you with easy access to psychological and emotional support from specially trained psychiatrists, psychologists, and social workers. We recognize that being at high risk for developing breast cancer can be stressful and often overwhelming. Offering you the option to participate in clinical trials that advance understanding about breast cancer risk factors, effective screening strategies, and approaches to reducing risk. As a comprehensive cancer center, we’re uniquely equipped to help you make decisions about all aspects of your breast health, from understanding your specific level of risk for developing cancerous changes to taking measures to prevent such developments and addressing them quickly, should they occur. Our world-class experts in surgery, medical and radiation oncology, radiology, fertility counseling, and nursing work as a team to help people diagnosed with breast cancer through every step, from treatment through survivorship. For questions or to schedule an appointment, please call 646-497-9064.